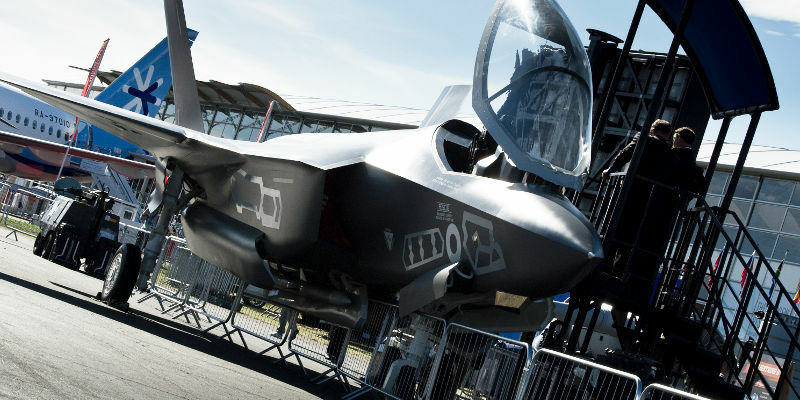 The Royal Navy’s next generation carrier strike fighter, the F-35 Lightning II, will be represented at the Royal Naval Air Station Yeovilton International Air Day on Saturday 8 July with a full-scale model supplied by Lockheed Martin. The Lightning II is a single-seat, single-engine fighter aircraft designed for many missions with advanced, integrated sensors built into every aircraft. Missions that were traditionally performed by small numbers of specialized aircraft, such as intelligence, surveillance and reconnaissance and electronic attack missions can now be executed by a squadron of F-35s, bringing new capabilities to UK armed forces. The Royal Air Force and Royal Navy plan to operate 138 F-35B short takeoff/vertical landing aircraft. British pilots and maintainers are already embedded within the U.S. Marine Corps and their fleet of F-35Bs as part of an Anglo-American training programme. The operational test and evaluation of the UK’s first F-35s is currently taking place at Edwards Air Force Base, California. Meanwhile in the UK, personnel from RNAS Culdrose, RAF Marham and HMS Queen Elizabeth are well underway with preparations to receive the new aircraft. It is hoped the first F-35Bs will embark on the HMS Queen Elizabeth aircraft carrier for trials in the next few years. “I am delighted that we will be able to show the public a full-scale model of the UK’s Lightning II Joint Strike Fighter aircraft at our International Air Day. This aircraft will fly off the Royal Navy’s Queen Elizabeth Class carriers from 2018 as they safeguard the UK’s interests well into the future. A great opportunity to get a sense of the fixed wing aircraft that will soon be in service with the Fleet Air Arm” says Commander Terry Tyack, RNAS Yeovilton’s Commander Air. Air Day will provide a great opportunity to see first-hand the size and stealthy characteristics and hear about the capabilities of the Royal Navy’s F-35B Lighting II. 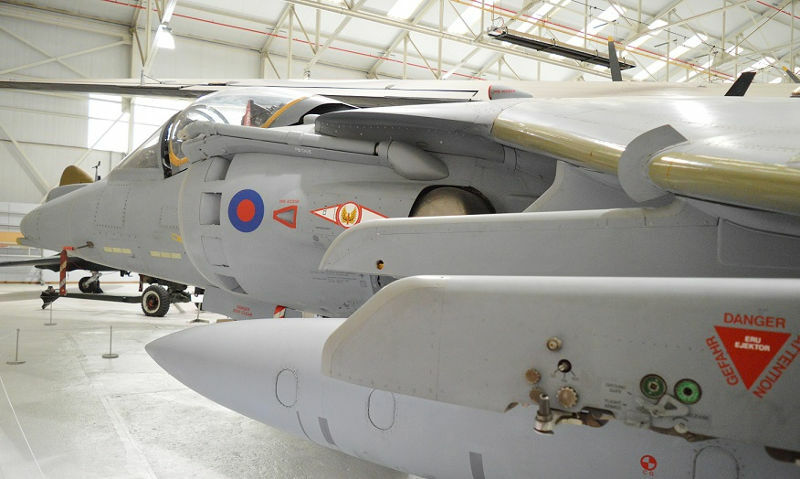 The full-scale model will take its place in the static display alongside other iconic fixed wing carrier aircraft such as the Phantom and Sea Harrier. Discounted advance tickets are available over the counter at participating Tourist Information Centres and online at www.royalnavy.mod.uk/yeovilton-airday. Visitors to this summer’s Royal International Air Tattoo at RAF Fairford in the Cotswolds will be able to view one of the biggest gatherings of US military aircraft at a UK airshow in recent years. In addition to the USAF display team the Thunderbirds, a B-1 and B-52 bomber and a stateof-the-art F-22 fighter jet already revealed, the Americans have announced that many more exciting aircraft will be arriving at the air base as the airshow prepares to stage the biggest celebration of the US Air Force’s 70th anniversary anywhere in Europe. 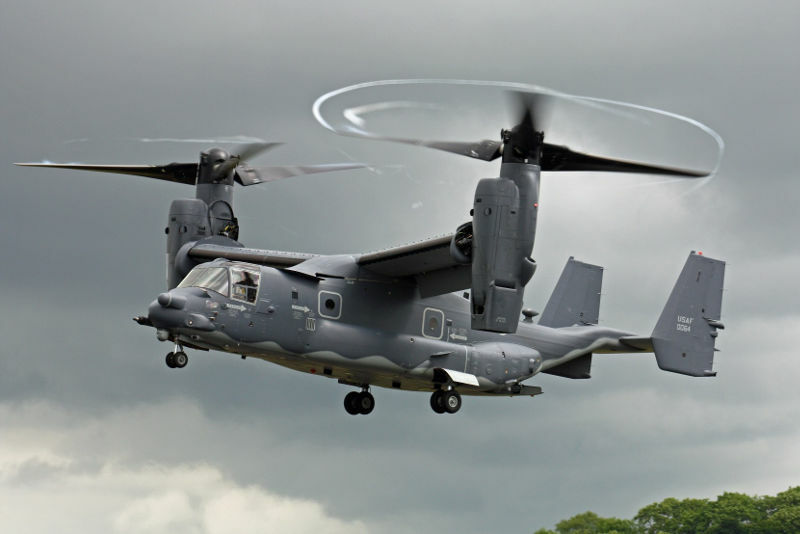 The airshow, which takes place on July 14-16, will also feature two CV-22B Ospreys, whose unique tiltrotors enable them to fly like a helicopter or like a fixed-wing aircraft. The aircraft, one of which will be in the flying programme and the other on display in the static park, has been used as a Special Forces transport aircraft thanks to its impressive speed and manoeuvrability. Also confirmed for the static park will be two F-16C fighter jets from Spangdahlem Air Base in Germany; an MC-130J Commando II tactical transport and tanker aircraft, based at RAF Mildenhall in Suffolk, used to support Special Operations; and a massive C-17A Globemaster transport aircraft which will travel all the way from Charleston, South Carolina. Finally, the United States Navy will be showcasing the world’s most capable maritime patrol aircraft, the Boeing P-8A Poseidon, on the ground at RAF Fairford. The aircraft is on order for the Royal Air Force, who will take delivery of their first example from 2019, based at RAF Lossiemouth in Scotland. Air Tattoo spokesman Richard Arquati said: “The Air Tattoo enjoys a great relationship with the US military which stretches back almost four decades and over the years this has resulted in some very memorable tributes marking key milestones in the USAF’s history. The Air Tattoo is staged annually at RAF Fairford in support of the RAF Charitable Trust. To view prices and enclosure options, visit www.airtattoo.com. All accompanied under-16s are admitted free of charge. Free parking. Calling all runners….the Royal Air Force Museum Cosford needs you! The Spitfire 10K will be returning to the RAF Museum Cosford this September and will give participants the unique opportunity to race across the airfield and down the runway at RAF Cosford, in an exclusive charity run raising money for the RAF Museum! Taking place on Sunday 3 September 2017, registration is now open for runners to sign up and set themselves a new and unique sporting challenge. Taking-off from the Museum’s Hangar 1, visitors will head outside and begin the race with a loop of the Museum site past iconic aircraft including the VC10, Hercules and Nimrod, before heading onto the airfield at RAF Cosford. Participants will run alongside the wartime hangars, the air traffic control tower and of course, the race wouldn’t be complete without a sprint down the runway! The scenic route around the military airfield will take runners past several historic landmarks along the way and then it’s back onto the Museum site to cross the finish line. Upon completion, runners will be rewarded with a bespoke 2017 Spitfire 10K medal, a perfect and well-earned memento of their day. This UK Athletics licenced race over an accurately measured course is suitable for keen runners and novices alike, so if you’re aged 15 and over why not give it a go? 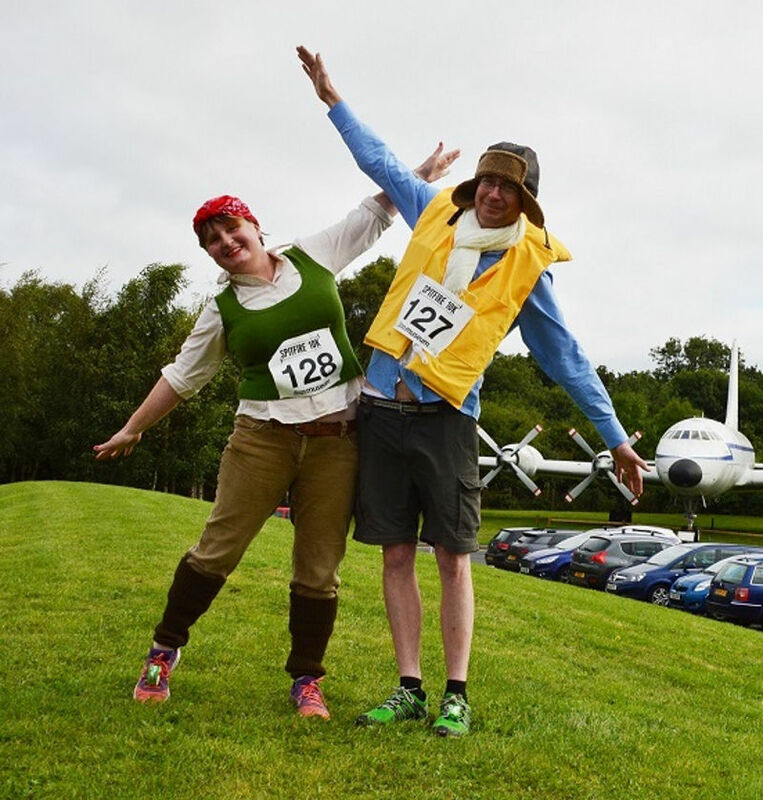 Whether you’ve been running for years, or you’re just getting into the sport for the first time, the race at Cosford is guaranteed to be a fun and memorable one. Organisers are also encouraging participants to get into the spirit of the Spitfire 10K by dressing in wartime attire – don your victory curls or flying jacket and run this event in style! Or, why not sport a bespoke 2017 Spitfire 10K t-shirt, available to purchase when you register online. The Spitfire 10K will be a fun family day out and spectators are invited to cheer on their loved ones and show their support on the day at the start and finish line. Plus, following the race, visitors have the added bonus of being able to enjoy time wondering round the free Museum, where they will find over 75 historical aircraft on display. Runners can arrive from 8.00am onwards and it will be ready, steady….scramble at 10.00am sharp! To register for the event visit the Museum’s website www.rafmuseum.org/cosford. Entry costs £22.50 per person with proceeds going towards the RAF Museum (registered charity number 244708), to support work conserving and sharing the story of the RAF for current and future generations. Armed Forces Personnel and members of UK Athletics affiliated clubs are eligible for the discounted entry fee of £20.50 per person. For further details about the event, visit the Museum’s website or call 01902 376200. Scampton Airshow tickets can only be purchased in advance at www.scamptonairshow.com. Tickets are priced at £39 with all under 16s able to enjoy the airshow free when accompanied by an adult ticket-holder. 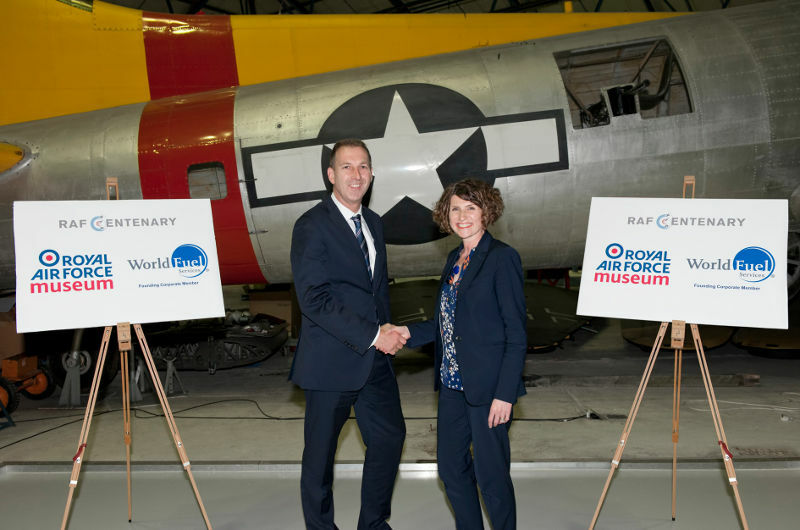 World Fuel Services, with its regional center based in London, United Kingdom, proudly announced this week that they have become a Founding Member of the Royal Air Force (RAF) Museum’s Corporate Membership Programme and a RAF Centenary Partner. With the 100th anniversary of RAF’s founding taking place in June of 2018, World Fuel Services will participate in many of the celebrations and events planned around this milestone. The museum operates two sites, one in Hendon, North London, and the second in Cosford. Both offer free admission to the public. Its mission is “to tell the story of tell the story of the Royal Air Force through its people and collections” and “to ensure that the Royal Air Force’s story endures and enriches future generations.” The museum accomplishes this through a world-class collection and display of aircraft, special exhibitions, films, interactives, artwork, engines, missiles, photographs, medals, uniforms along with research and education facilities. “World Fuel Services is delighted to support the RAF Museum as a Founding Member of its Corporate Membership Programme and an RAF Centenary Partner. 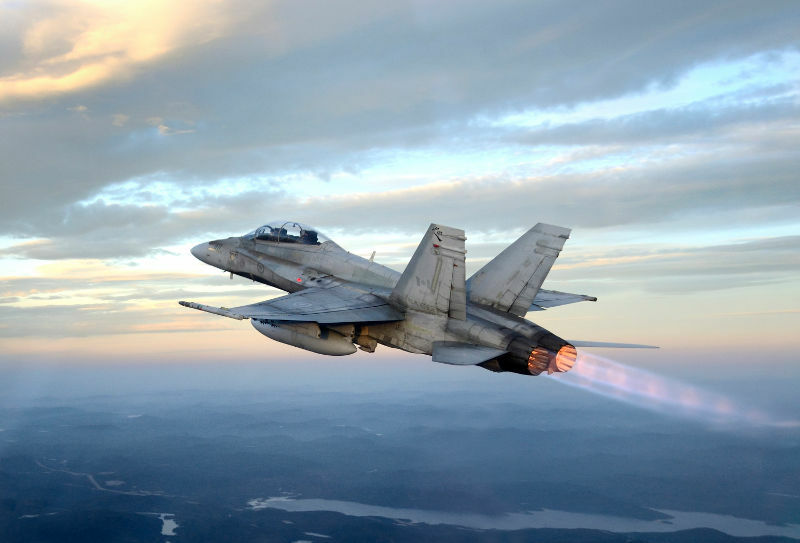 We are committed to the aviation space, with a long and proud history of delivering aviation fuel, services and solutions to the Military, General and Commercial aviation sectors. It’s very exciting for our company to be able to play our part in sharing the stories and celebrating the RAF’s achievements with the community and the hundreds of thousands of aviation enthusiasts who visit the museum. We look forward to playing our role in many museum and centenary events over the coming years, including the RAF centenary celebrations planned for June 2018,” commented Mark Amor, World Fuel Services’ Vice President of Commercial Development. World Fuel Services’ sponsorship directly supports the ongoing redevelopment efforts of the museum’s Hendon location. This includes new exhibitions showcasing the RAF’s first 100 years and the role of the RAF from the Cold War into the future, along with outdoor renovations and landscaping to bring back the sense of space and place of the historic Hendon Aerodrome. To learn more about World Fuel Services’ full suite of business and general aviation solutions, join World Fuel Services in stand A67 at the 2017 European Business Aviation Conference and Exhibition (EBACE 2017) in Geneva, May 22-24. A collection of aircraft from the Royal Air Force Museum Cosford will be joining the line-up in a static display at the RAF Cosford Air Show, taking place on Sunday 11 June 2017. Aircraft confirmed to appear include the British Aerospace Experimental Aircraft Programme (EAP), the BAe Harrier GR9A and completing the Museum’s display at this year’s show is the Hawker Hurricane IIc. As part of the Air Show’s key theme this year ‘International Co-operation’, the British Aerospace Experimental Aircraft Programme (EAP) and the BAe Harrier GR9A will be rolled out from the Museum hangars and exhibited outside on the airfield, forming part of a unique display of aircraft which are manufactured in multinational environments. These aircraft show the evolution of aircraft design and construction from single manufacturer through joint company schemes to multinational component manufacture. Both aircraft are sure to be a popular attraction for aviation fans visiting the show, which attracts in excess of 50,000 visitors each year. This year’s RAF Cosford Air Show will also be celebrating the 60th anniversary of the Battle of Britain Memorial Flight, originally formed as the Historic Aircraft Flight in 1957. This national treasure and jewel in the RAF’s crown will be marking the anniversary with a special flying display. On the ground, the RAF Museum’s Hawker Hurricane IIc will be on static display allowing aviation fans to get up close to one of Britain’s most iconic aircraft and the main aircraft of RAF Fighter Command squadrons during the Battle of Britain. In addition to the aircraft displays, the Museum’s Access and Learning team will be running workshops in the Whittle Innovation Centre on the airfield throughout the day, where families can take part in rocket car activities, in free drop-in sessions. There will also be the opportunity to try on some of the jackets, hats and flying goggles from the Museum’s handling collection and view some of the objects used by RAF personnel through the years. To find out more about the Museum and the wide range of learning opportunities available, head to the Whittle Innovation Centre and speak with the team. 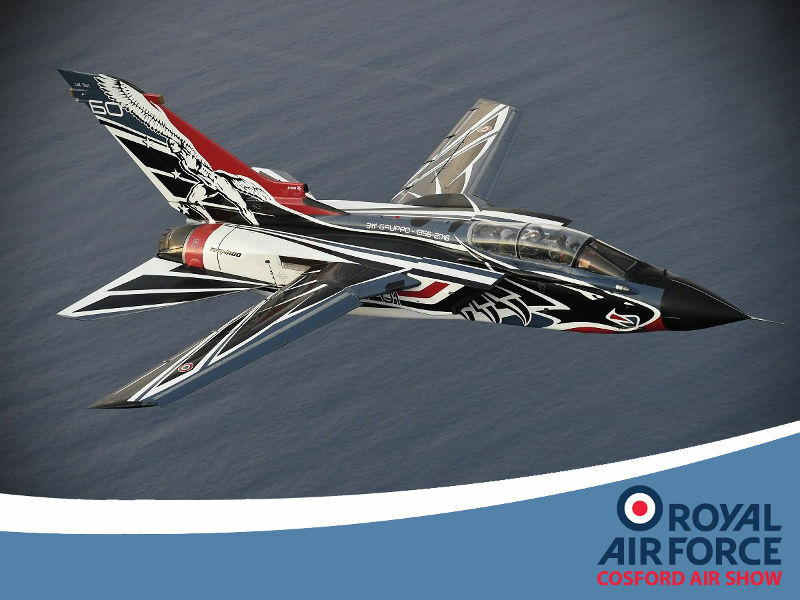 Tickets for the RAF Cosford Air Show are advanced sale only and cost £25 per person with free entry for accompanied under 16s. Tickets will not be available to purchase on the gate so to avoid disappointment, visit the show’s website www.cosfordairshow.co.uk and book online. Tickets are also available to purchase in advance from the Museum. 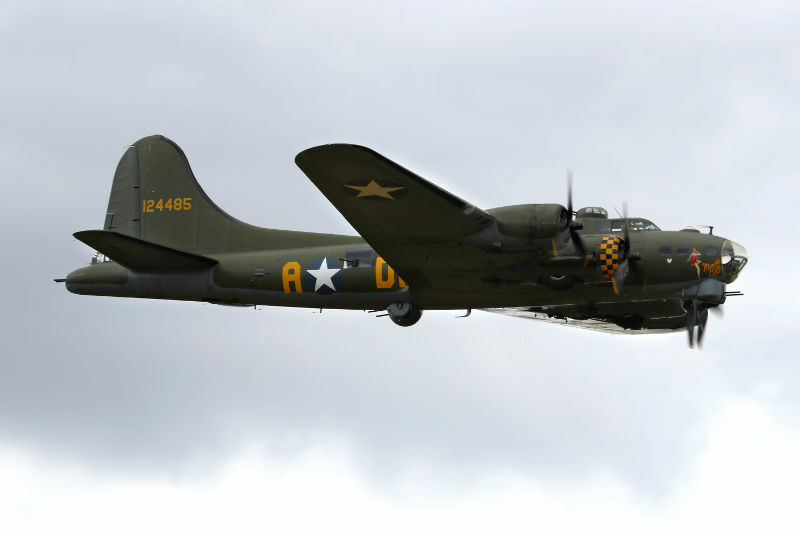 Old Buckenham Airfield is thrilled to reveal the last act of its 2017 Airshow display lineup; the extraordinary Boeing B-17 ‘Sally B’, star of Hollywood blockbuster “Memphis Belle”. The Airshow, winner of the EDP Tourism Awards “Family Event of the Year” in 2016, will take place on the 29th and 30th July. The Flying Fortress completes the 2017 lineup; arguably the most diverse in the Airshow’s long history. Along with the B-17 three other wartime icons will be displaying on the afternoon of the 30th July; the Supermarine Spitfire, North American P-51 Mustang and Hawker Hurricane; arguably the three most recognisable and evocative fighters of World War II. The exotic warbirds will be joined by a mixture of extraordinary acts, from the high energy aerobatics of the Extra 300, chased around the sky by a 41% scale model, to another American Airshow legend; Otto the Helicopter flown by the incomparable Brendan O’Brien who will also once again attempt to land on a moving vehicle whilst aboard his Piper Cub. The Airshow will once again also provide one of the largest classic car gatherings in the region, along with a vast military display including tank rides. Pleasure flights are available courtesy of a Bell executive helicopter and show-goers can also start their flying career in a variety of machines, including a WWII Boeing Biplane. Popular favourites such as the Food Village (we only allow reasonably priced quality local food vendors on site) and the Attack and Destroy Bar will return with a bespoke range of beers created solely for the weekend. For families, the host of amenities that made us Award Winners are maintained and improved upon, but one key element remains; kids under 12 continue to have free admission to the show. For the second year in a row the show will be televised and advance ticket sales have set another record, the fifth year in a row where a new level has been set. As a result the pre-purchase of tickets is highly advisable. Royal Naval Air Station Yeovilton International Air Day on Saturday 8 July plans to inspire the next generation of engineers with an extensive display of Science, Technology, Engineering and Mathematics (STEM) related interactive exhibits. Leading the way will be a full-scale replica of Bloodhound, the vehicle attempting to travel at 1,000 mph for the World Land Speed Record later this year. The Bloodhound Team is sharing this engineering adventure with a global audience and aims to inspire the next generation by bringing STEM to life in the most exciting way possible. The vehicle can cover a mile in 3.6 seconds, four and half football pitches in one second or 150 metres in the blink of an eye! Bloodhound will be powered by the same Rolls-Royce jet engine that can be found in an RAF Typhoon, an example of which will be taking part in the flying display. Whilst Bloodhound will be part of the outdoor ground attractions there will also be a dedicated STEM hangar with activities provided by The Imagineering Foundation, The Royal Aeronautical Society and My Future My Choice. They will be presenting fun and exciting engineering and technology activities for youngsters, specially developed by regional and national organisations. There will be something for all ages and opportunities to learn about the fascinating modern cutting-edge technology that is around us every day – with plenty of opportunities to have fun! On static display within the STEM hangar, in stark contrast to today’s technology and engineering achievements, will be the world’s only airworthy Bristol Scout. This wonderful WW1-era, rotary-engined, single-seat biplane became the first British aircraft to roll its wheels off a Royal Navy carrier’s deck in 1915. 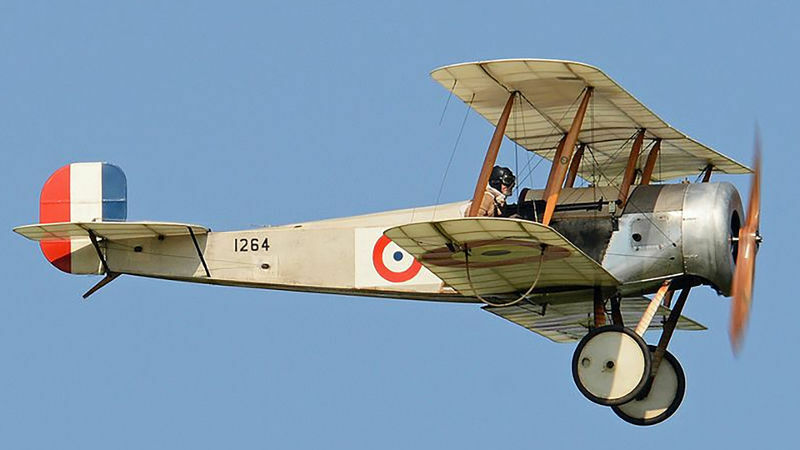 The Bristol Scout will help showcase Britain’s pioneering aviation heritage and the evolution to today’s fast jets that will take part in the flying display. Discounted advance tickets are now also available over the counter at participating Tourist Information Centres. Further information and online booking available at www.royalnavy.mod.uk/yeovilton-airday. The flying display line-up for the RAF Cosford Air Show received yet another exciting boost this week, with the news that the Italian Air Force will be sending an A-200 Tornado to perform on Sunday 11th June! The Panavia Tornado is a swing-wing, combat aircraft, jointly developed by Germany, Italy and the United Kingdom in the 1970s. The Tornado will be familiar to many Air Show visitors, as the type is also flown by the Royal Air Force, but this will be the first time an Italian example, operated by 311º Flight Group, part of the Reparto Sperimentale Volo, will be appearing at the event. It is hoped that the jet used for the flying display will be adorned in a special paint scheme, unveiled earlier this year in Italy, to celebrate the 60th anniversary of the 311° Gruppo. The Award Winning Old Buckenham Airshow; now featuring another fearsome iconic Warbird and some equally fearsome new beers. Old Buckenham Airfield is delighted to announce another extraordinarily rare new addition to its Airshow on the 29th and 30th July. 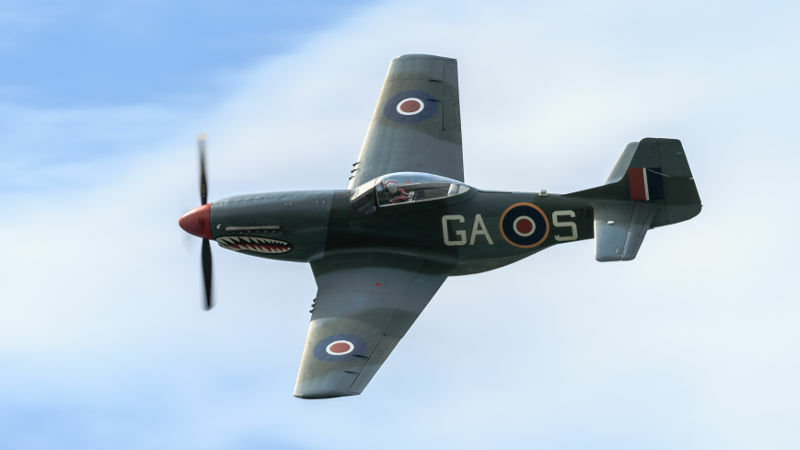 For the first time, P51 Mustang “The Shark” will appear on both days. Operated by the Norwegian Spitfire Foundation and based with the storied Boultlbee Flying Academy at Goodwood, ‘The Shark’ gets its name from an extremely distinctive paint scheme on the nose of the aircraft; it bears the face of a Shark over the equally unusual RAF markings. An RAF marked North American fighter aircraft was a very unusual sight in WWII and only one aircraft carried the ‘Shark’ scheme replicated today. The P51 Mustang is often described as the American Spitfire. The two aircraft shared the legendary Merlin engine, which produces 1200hp in the Spitfire. Thanks to a two stage intercooler supercharger power far more power is available in the Mustang; a truly fearsome 1,720hp. ‘The Shark’, in earlier guises, is no stranger to Airshows. As ‘Old Crow’ this P-51 was the darling of the Scandinavian Airshow circuit for a decade before coming to England. Another aviation icon will be making a very welcome return to the Airshow, in the form of one of the most respected and experienced pilots there has ever been; Rod Dean. 21 years in the RAF saw Rod become an expert on an array of the most potent fighter and bomber jets. Since 1984 Rod has displayed just about every type of aircraft, including the Spitfire, Mustang and Hurricane. He’s so good that he wrote an acclaimed book about his “Fifty years of Flying Fun” and along the way became a highly respected aviation journalist. Rod will be appearing on both days. In 2016 we introduced the all new “Attack and Destroy Bar”. Created solely for the Airshow this mobile pub, named for the motto of the 453rd Bomb Group, offers a complete range of drinks including a number of specially brewed, exclusive ales. For 2017 the Airshow is delighted to confirm that the Attack and Destroy Bar is teaming up with Saffron Ales, an award winning artisan brewery based in Henham. Saffron’s range of heritage ales, brewed with a contemporary twist, have been created to satisfy all palates and they’re producing four, truly one off, new ales for the bar. For the first time, the Airshow will be able to offer bottled versions, in strictly limited numbers. The ales commemorate highlights of the show. One is named for ‘The Shark’ Mustang, another for the Hawker Hurricane and a third for Otto the Helicopter, announced as an act last month. One final beer will commemorate the last aircraft to be confirmed for the Airshow. Both the beer and the details of our mystery act will be confirmed in early May and cap off what is likely to be regarded as the finest and most diverse mix of aircraft ever assembled at Old Buckenham since the War. The Airshow’s appeal to families will also be enhanced with the addition of Sim- Fly Combat. Sim-Fly have been offering extremely popular virtual flight experiences at Old Buckenham for over a year, using a state-of-the-art simulator (the only one of it’s kind in the UK) since 2015. They will shortly launch a remarkable new experience, where up to four players can take control of WWII fighters and dogfight each other in the virtual sky, sat in replica cockpits of the Spitfire and Messerschmitt 109. Airshow Organiser, Matt Wilkins said “ This year is shaping up to be the best yet for Old Buckenham. ‘The Shark’ is an extraordinary aircraft and the preserve of the largest airshows; Rod Dean can truly be described as the grand master of modern aviation and our enhancements on the ground, with the new beers from Saffron and SimFly’s new Combat simulator ensures that we’re living up to last year’s tourism award as “Family Event of the Year”.